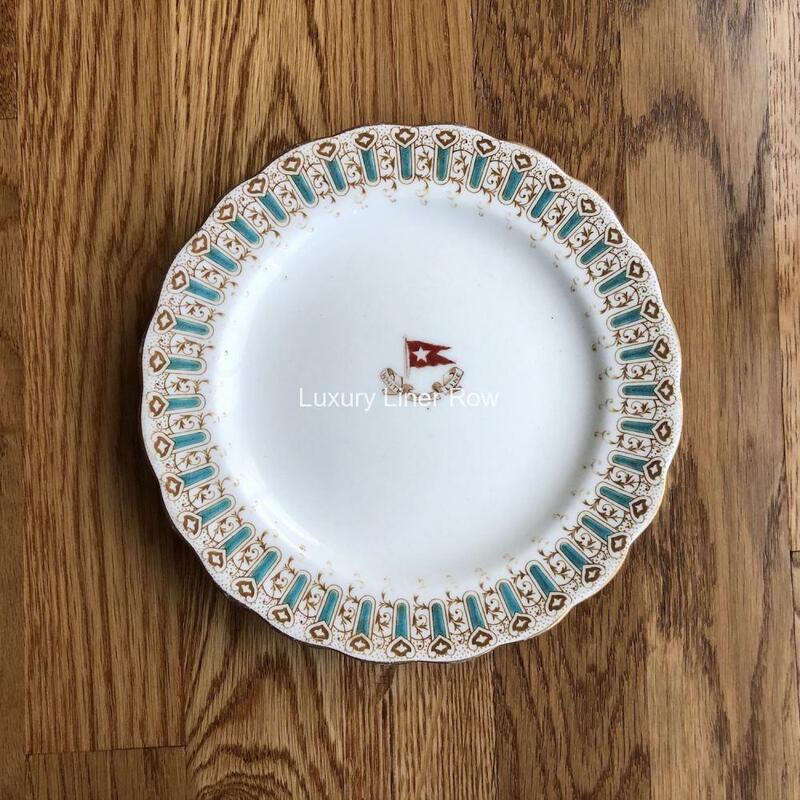 One of the first pieces of china in my personal collection was a White Star Line side plate just like this one. These lovely plates display so well and I have a soft spot for them. 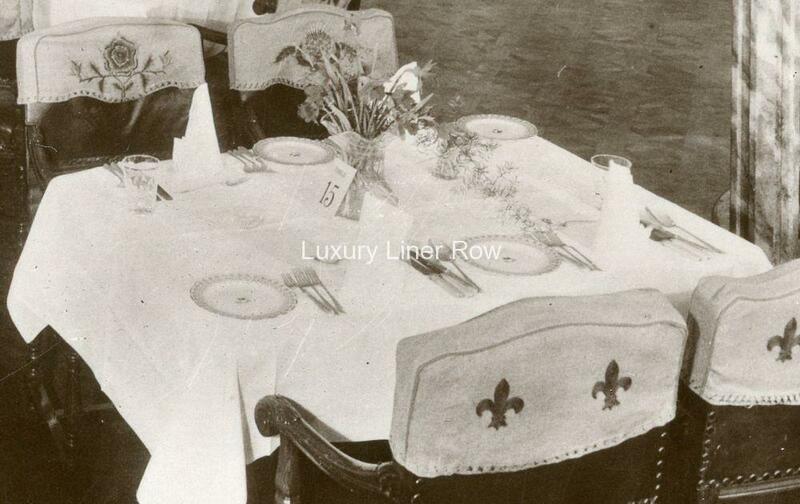 They are made of fine-bone china like almost all White Star first-class dinnerware. 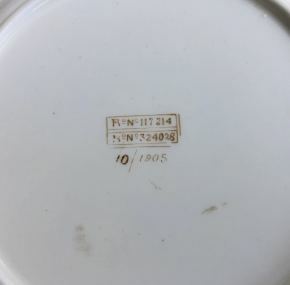 Plates like these were on the table when the diner was first seated. 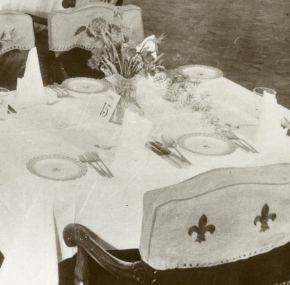 See them in use in the archival photo I included of Olympic’s dining room. The pattern that we all know so well was made famous by its use on Titanic. 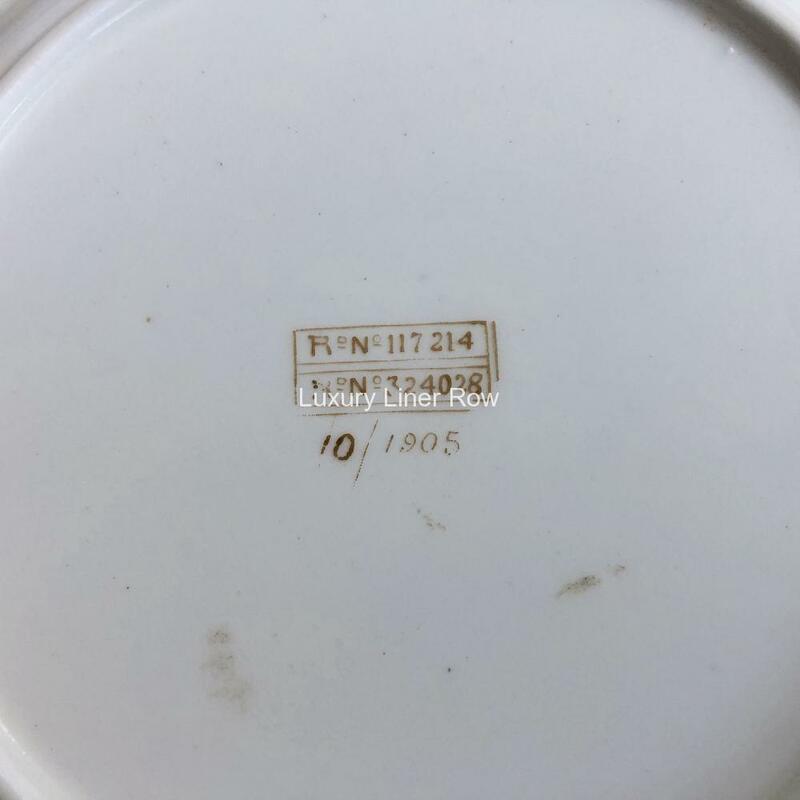 Back marked by the supplier Stoniers with the usual registry numbers. Measures about 7″ in diameter. In excellent condition with no chips or cracks and only a few utensil marks. It is not so common to see these dated. This one is dated October, 1905.